Hi, I’m Jenny McFadden, wow we’ve found each other…which is totally amazing when you consider there are more than 7.4 billion people on our planet! I’m truly happy we’ve met. For more than 20 years I have been helping women who have been feeling overwhelmed, lost and stuck to be free again. If you are a spirited woman and your heart is urging you to change, to move on or let go but you feel uncertain and you find yourself sabotaging your success, I’m here to help you find your confidence, courage and conviction . When you live a soul inspired life your life and biz will flourish and your unique soul-inspired magic will finally be shared with the world. 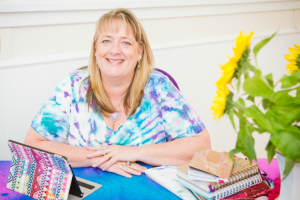 I’m a soul-centred teacher and life confidence specialist, author, intuition mastress, creative biz coach, artist, healer, mum, wife and mentor to the hundreds of soul sisters in my tribe. I am the founder of Heart-Centred Intuition™ Training and my Soul Signature™ Mentorship Program. Over the years I’ve learned to trust my messengers to help me lead a soulful, successful and sustainable life (and biz) and I will show you how to do the same. I live my life guided by my personal Guides, Angels and Divine Source, sometimes called your Higher Self, and I’d love to show you how to tune in and trust your inner GPS to help you with decisions, direction and fulfilling your dreams. 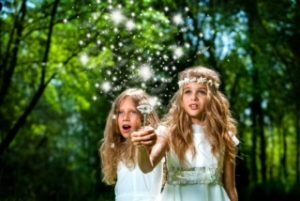 I will show you how to tune in to your inner knowing, download messages from your Guides and discover your unique Soul Signature, which is a reading I will do of your soul energy, so you can understand why you are here and what has been silently guiding you all these years. Knowing your Soul Signature will give you the confidence to move forward, knowing you are totally on track with your purpose. Thank you for spending time with me and I look forward to talking to you in person. 1.I was SO shy as a kid I even went to the bathroom with my mum, I wouldn’t let her out of my sight. She had to leave me with the neighbours to get some time to herself… And I screamed the whole time. Thank god my son wasn’t like that, sorry mum, I now know how hard that must’ve been. I’m definitely an introvert although I’ve trained myself to be ok with being a teacher, trainer and speaker and I love talking to people. I reckon I’m right in the middle of being an introvert/extrovert and to keep balanced and I sometimes withdraw to have time to myself, especially after I’ve spent lots of time with people. I find both social events and silence nourishing when they’re in balance. 2.I can read a persons energy field and pick up what’s happening in their body emotionally. Sometimes I get medical things (I don’t get names of diseases) and I see how the energy is flowing, and where something is stuck. I can ask their Guides for help too. A person’s body will show me where to look for the origin of an issue and also I get intuitive messages about what to do to help the body heal or to move forward. 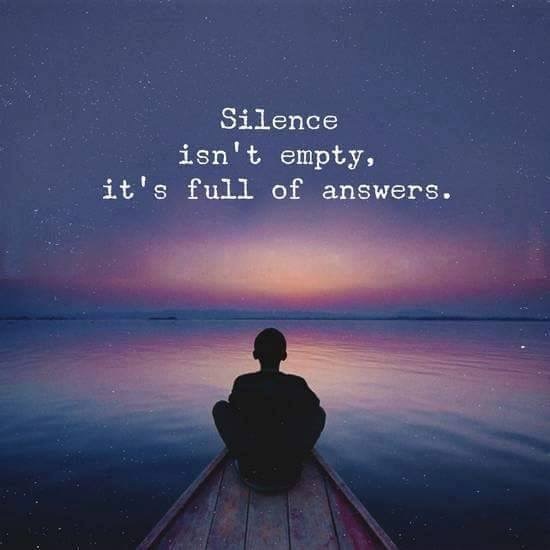 I wasn’t born with this skill (well, we all are I believe) but through working as a healer I learned to “tune in” at many levels unconsciously, and then stuff would occur to me in my mind and I would “know” things. These days I only do this for select private clients. Recently was shown how to “see” a person’s Soul Signature as a symbol and understand their soul purpose. I mean, wow, what a privilege. I never ever ever thought I would be doing this for a job! It’s amazing where your heart takes you when you follow it. 3. 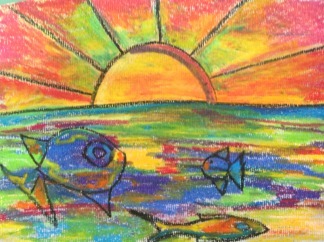 I originally trained at University to be a high school Art Teacher and I had a Psychology major. I loooved art at school and I always came second in the form every year which frustrated me endlessly. I enjoyed art teaching for a few years but then I realised my heart was calling me to explore the world outside the school system. 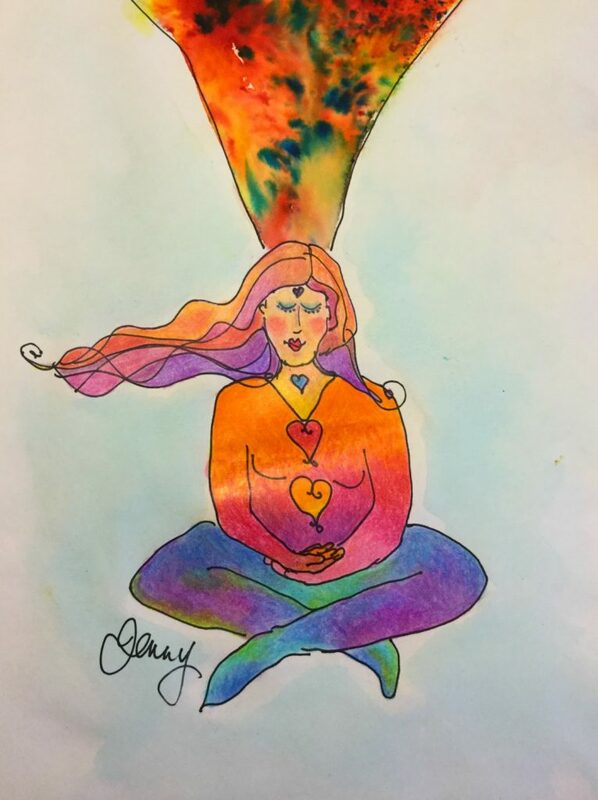 I had NO idea I would end up using my art as part of my healing practice. 4. I have one son, born in 2001, when I was 41. So I was an “old” mum as was continually pointed out. He was a wonderful surprise, I never expected to get pregnant at 40, so all you soul sisters who are still waiting for your precious baby to join you, never give up hope. Lol, no actually I learned sooo much from her example as an independent, entreprenerial woman, she is a blessing in my life. We still go to the pool together 3 times a week to walk, stretch and have a good chat. Sometimes my wonderful sister comes too when she is visiting from Canberra. It’s a soul sister thing. 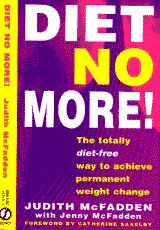 In 1995 we published a book through Penguin called Diet No More, because we’d both been on the diet yo yo for years and had both regained the weight we lost, again! I started dieting when I was 14 because I thought I was fat. Omg, when I look back, I wasn’t fat, but I was bigger than most of my friends and I’d been that way all my life. The book is about the psychology of eating and how to return to being a natural eater (someone who listens to their body signals)and it helped me let go of body hatred and relax around food and whilst I am I’m full figured my body weight is more stable and not fluctuating wildly like it did before. Because of our book I studied an Inner Control Psychology called ‘Perceptual Control Theory’ (PCT) and now I’m a Senior Trainer and Master Coach in Australia and I even taught it to Naturopathic and Dietetic students at Universities and to lots of Professional groups. 6. By ordinary standards lots of people think I’m pretty weird, very “out there” and some kind of spiritual healing hippy or crystal muncher. I am actually, haha! But I wasn’t always. I love quantum physics although I don’t really understand it and I love watching the Big Bang Theory TV show, they’re such nerdy scientists and I kinda relate to that somehow. My husband is an engineer so he’s really good at maths and science and logic (and he’s an empath too so that’s the best combo ever!) and he has come to accept what I do and be really supportive, even when he doesn’t really get it. 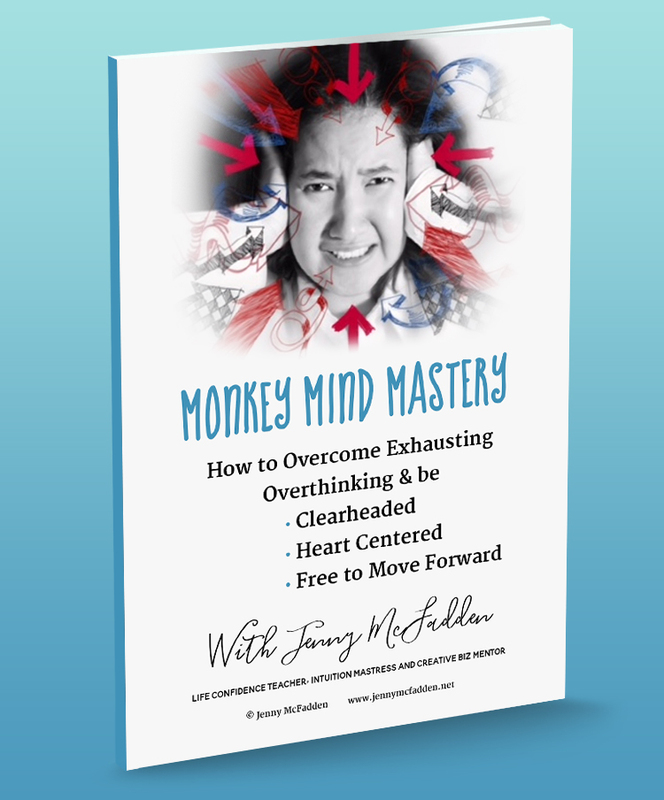 When we first met, he was really straight, and I showed him a few ways to tap into our body’s energy messages…. So funny, he had this look on his face as he freaked out, because the information he got was SO not explainable by logic that he didn’t talk about it for another 6 months! He told me later it made his body go all goose pimply and it really scared him. I still forget sometimes that my world of intuition, energy healing and interdimensional travel isn’t the norm for everyone. Lol. 7. I live near the bush (in Sydney, Australia) because I love the opportunity for silence. If I had a choice between seaside or silence I’d take the sound of rustling, birds and the deep quiet of my nearby national park. At home we get kookaburras (my favourite animal of all time), cockatoos, lots of different parrots, possums and the occasional blue tongue lizard. And there’s plenty of space, a backyard and even a little vege patch that sometimes get overgrown when I’m too busy to look after it. 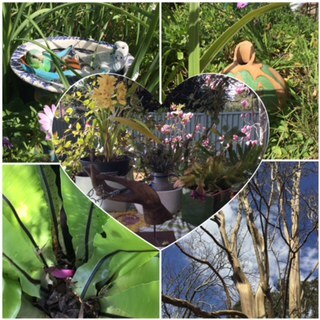 Here are some pics taken in my yard. Have I mentioned I need my freedom? Yeh, I need to have space around me…maybe because I had it growing up…otherwise I go stir crazy. I once had a boyfriend who lived near the beach in the eastern suburbs of Sydney and I would stay there on the weekends but omg, I had to get out of there because I felt trapped and constricted by the sheer number of people around me, too many energies, too many cars, too much noise. Am I the only one who goes to the movies and is ecstatic when I’m the only one there? 8. 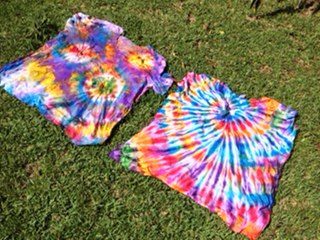 I love love love love vibrant colour but since you’re here I guess you can see that pretty darn clearly.I make lots of my own tie dyed tshirts because I can’t get em anywhere else. My friend Ruth and I get together and play with our tie dyeing kits every so often, putting different colours together and testing out new patterns. In the old days (lol) when I was an art teacher it was a lot more complicated and I had to mix up buckets of different colours and it was pretty messy. These days I use some fabulously bright non toxic dyes from Byron Bay and they’re already mixed up and I just pour the colour on, wheeee, love it! 9. 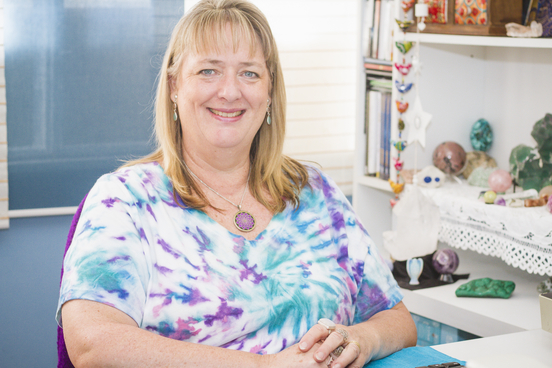 I’m a trained Teacher, Coach, Kinesiologist, Medical Intuitive, Intuitive Healer, Qigong Teacher, Artist and Author. And if I had to list every modality I’ve learned it would take another page…. Here’s a few: Matrix Energetics, EFT (Emotional Freedom Technique), NET (Neuro Emotional Technique), Reconnective Healing, Theta Healing and many more. 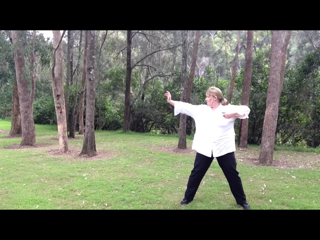 Here’s a pic of me from one of my videos doing Health Qigong (it’s like Tai Chi) and is designed to keep your energy clear and moving and to build your energy reserves. I’ve now decided I no longer need to learn more modalities to prove to myself I am knowledgeable enough to help, now I just do stuff when it looks like fun! My magic (that’s a big part of my purpose here) is empowerment. The modalities are my toolkit. Now I empower women to shine, to be their bright light, find their soul purpose and live it, in life and biz. Yay, it’s fun! 10. I’m left handed. No biggie. But being a lefty as a kid in school meant I picked up learning strategies that were meant for righties! I still have some trouble knowing right from left, not because I’m dyslexic, but because the teacher taught our class “You write with your right”. It was so ingrained in us that my brain still remembers it to this day. And so when I have to quickly say “right or left” for a direction I will point left (when I mean right) because that’s the hand I “right” with, so that must be right. Is that complicated or what??? 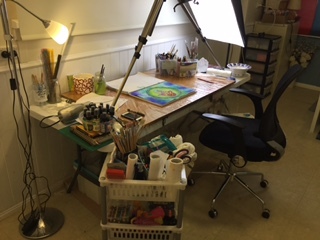 Here’s a pic of my creative workspace (I tidied it up for you, lol). I’m lucky to have this space to myself, although on odd occasions it does become a makeshift bedroom. I often wonder if being left handed meant I was born to be creative and artistic, I remember enjoying art when I was about 6 or 7 years old, because I was good at it. Now I think everyone can do it and when I was an art teacher in school (sooo long ago) I proved to all my students. With only a little training they could draw and create stuff and they were AMAZED at their own innate abilities. And that’s still my aim today, all the Intuitive art videos I make are step by step and easy to do so anyone can make beautiful work they are proud of.